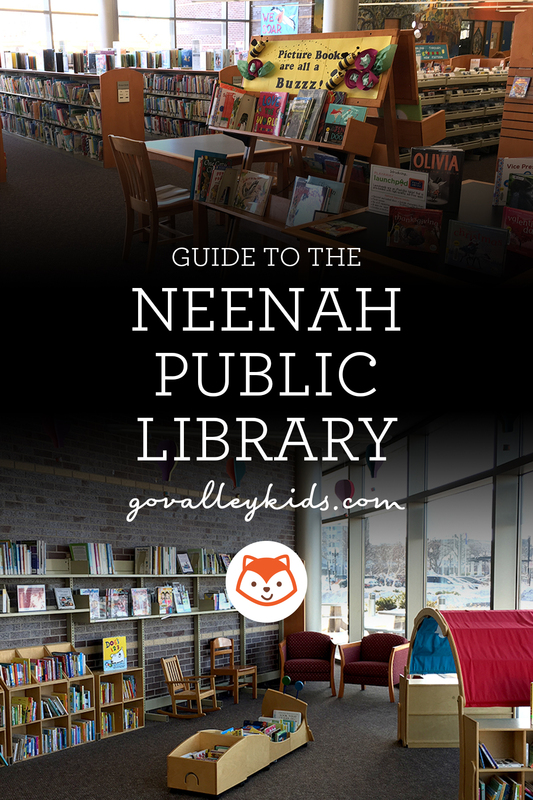 Heading to Neenah Public Library is one of our favorite things to do! The light is amazing and the space feels so open and inviting. 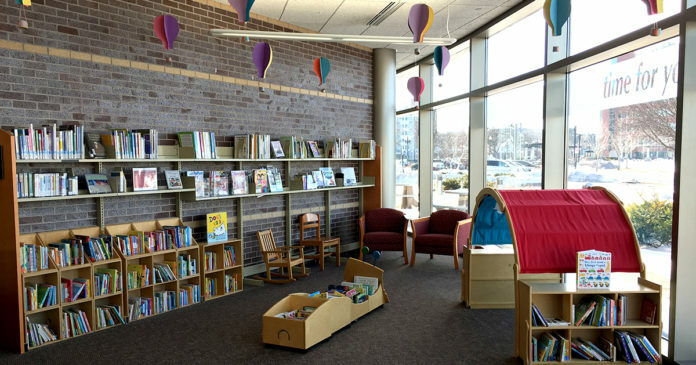 A perk of living in Northeast Wisconsin is that we have libraries with great water views and this is one of them! 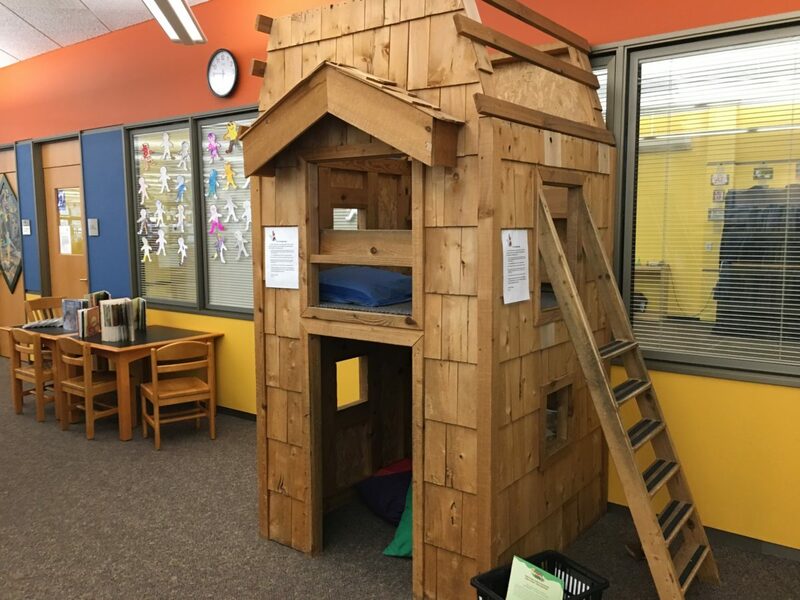 Their imaginative play area rotates in new fresh things to explore, and the reading nook and tree house are loved by our kids. 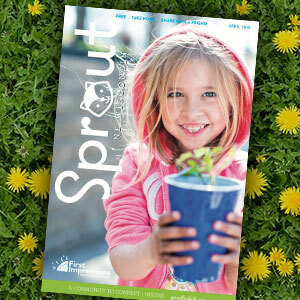 There are magazines on a shelf right when you walk in, grab one because the kids will be busy and you will have time to read an actual whole article in a comfy chair all in one go! 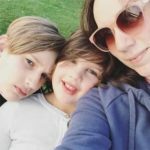 Nearby in downtown Neenah is Timshel Cafe to grab a delicious coffee or lunch, their menu has some kid-friendly options. Get some ice cream at Scoop Dogs next to Broken Tree Pizza inside the Marketplace Building. Stop in Mom and Pop Place to check out their unique selection of kids items and gifts. Riverside Park, known to many kids as Rocket Park, is just a few blocks away and can be a perfect stop for bigger kids to run off some energy before you head home to read books. 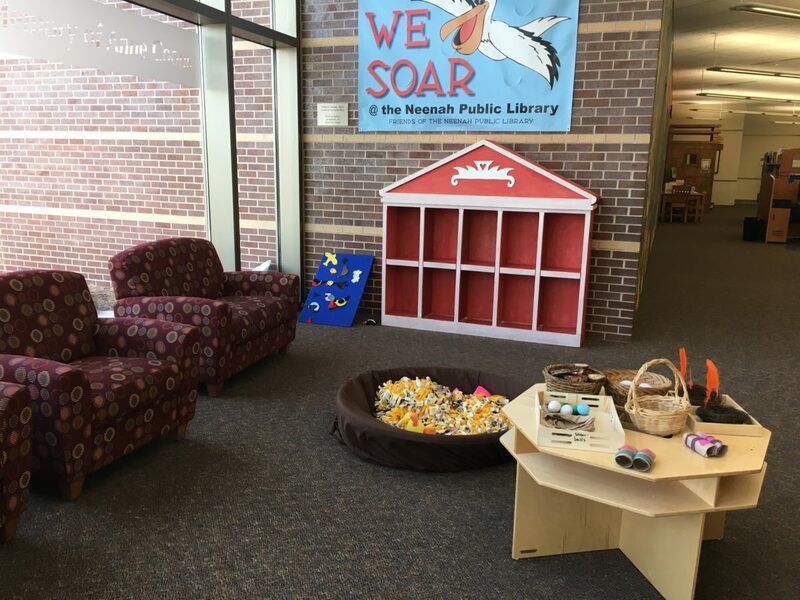 Separate area for older kids and teens adjacent to the children’s area. TIP: The adult materials are primarily located on the upper level. 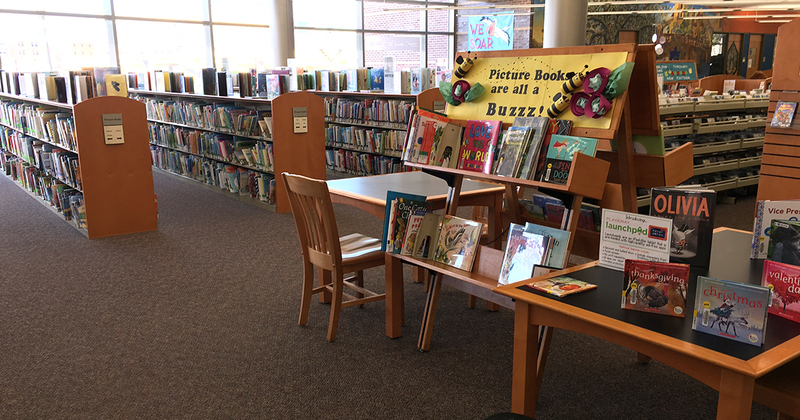 There is a small rack in the lobby with new books and magazines. Free parking in a small lot and on street. 2 hour limit for street parking. A few spots in front are designated for quick drop-offs and pick-ups.